I am an avid runner here in Saskatoon. You may see me running around the park by my home or around the Meewasin trails throughout the early morning hours (before the heat of the day). With summer road racing season in full swing, the 10K is a popular pick for many runners. The distance attracts new and experienced runners alike. Whether you are running your first 10K or aiming for a personal record (PR), these tips will help you train for and race your best 10K. For many new runners, the 10K is the natural next step after the 5K. If the furthest you have ever run is 3.1 miles, doubling the distance can be intimidating. Building your endurance will make the 10K both physically and mentally manageable. It’s important to give yourself time to build up to the 10K distance. Gradually increase both your long run distance and your overall weekly mileage, so that you can run 6 miles a couple weeks before race day. You can increase your mileage by adding an extra day—such as 4 days of running instead of 3 days—or adding a mile to each run every couple weeks. If you are comfortably running 15 miles or more per week, you can begin to incorporate some faster running into your 10K training. Once per week, do a run that incorporates short intervals of running at a hard effort. Speedwork can benefit all runners because of its unique ability to effectively improve your aerobic capacity. Quite simply, running faster in small amounts will help you run faster overall. Beginners do not need to hit the track or run fast mile repeats. You can do your speed work on the roads, hills, treadmill, or track—whichever you are most comfortable with. 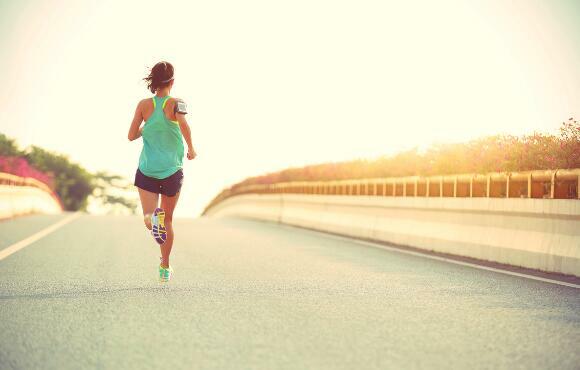 Beginners should start with shorter intervals lasting one to three minutes in duration. Try this once per week in the 8-12 weeks leading up to your 10K race. It’s just 6 miles! Many experienced marathoners may dismiss the 10K as a “short” race, but the truth is that running 6.2 miles at the hardest effort possible is not easy. There is a huge difference between racing a 10K and completing a 6 mile easy run. The 10K can hurt—a lot. The high level of discomfort—the burning lungs, fatigued legs, and metallic taste of the last 2 miles—makes the 10K more than just 6.2 miles. Respect the distance and prepare yourself mentally for being physically uncomfortable for a significant portion of the race. Many experienced runners will have a time goal for a 10K race. In order to run that time in the race, you need to practice the pace in training. Experienced runners with a solid aerobic base can spend 4-8 weeks specifically preparing for their 10K with workouts such as short intervals, tempo runs, and 10K pace intervals. You do not want to leave your race in your training. The recovery intervals in between 10K pace intervals allow you to build your fitness without breaking down your body before race day. The 10K pace intervals can range from ½ mile to 2 miles at your goal pace, progressing as the race approaches. Begin with shorter intervals covering 4-5 miles total and build up to longer intervals covering 5-6 miles. Running is essentially a prolonged series of single-legged forwards hops. The stronger your glutes and leg muscles are, the faster you can run and the longer you can sustain that fast speed. Your core and upper body strength matter as well, since your core provides stability and your upper body contributes to good running form. Speedwork does improve your aerobic capacity and running economy, thereby making you a faster runner, but you can only do so much speedwork. Strength training supplements those gains of speedwork by further improving your economy. Finally, runners who strength train regularly are less likely to get injured, since strength training fixes muscular imbalances and makes muscles more resistant to the repetitive pounding of running. Whether you are running a 40 minute or 80 minute 10K, proper pacing is key to running your best 10K. Starting out too fast can derail your goals and set you up for a miserable race. A race strategy keeps you from getting caught up in the excitement of the race. You can follow a race strategy regardless of your goals and experience. Aim to run the first mile at a controlled effort, the middle 4 miles at a steady and hard effort, and the last mile and two-tenths as hard as you possibly can. If you are trying to hit a certain pace, aim to run your goal pace to 10 seconds slower for the first mile, at your goal pace for the middle 4 miles, and as hard as you can to the finish line. If you are running the 10K to complete it, you can do some dynamic stretches such as leg swings and arm swings to warm up. If you are racing for a time goal, treat the race as you would a hard workout and give yourself time to warm up before the race. You want to be ready to run fast! Jog at a very easy effort for 1-2 miles and complete your normal drills and dynamic stretches. With these training and race day tips in mind, you are ready to run your best 10K! Lower back pain is a common occurrence among many of the patients seen at our clinic. Although the pain in your back may feel severe to you, most low back pain is not due to a serious problem. Physiotherapists should be able to assess, diagnose and intervene without the use of diagnostic imaging. Back pain manifests itself in many ways; Localized pain is felt in the lower back (above your tailbone) and buttocks, Radiating pain occurs when there is pain in the back as well as down the leg or foot. This can also occur in the form of numbness and/or tingling and is usually the result of nerves being irritated. Sometimes, symptoms can occur in the leg, without actually being felt in the back. This is called Referred pain. More often than not, back pain results from lifestyle factors, such as sitting too much, being in poor physical condition, and bending and lifting improperly. You can experience one or all of these presentations with back pain. Manual therapy (hands-on mobilization of the joints in your back). Physiotherapists skilled in manual therapy use precise hands-on techniques to relieve stiffness and improve movement of the joints and muscles of your spine. Movement exercises that restore motion and decrease radiating or referred pain. Most physiotherapists prescribe these exercises, using a protocol called the McKenzie method. If your pain is chronic, do not fear; physiotherapy can still help! Along with the first two options, chronic low back pain is best managed with progressive strengthening exercises that focuses on core stability and endurance. You’re probably wondering whether you should bother doing any of these and why not just wait it out? Unfortunately, waiting it out will reduce symptoms, but may not actually fix the reason you got back pain in the first place. That is why it is always important to be assessed by a physiotherapist before attempting to manage back pain yourself. A detailed assessment noting the type of pain, how it occurred, what makes it better and what makes it worse will allow the physiotherapist to prescribe the right treatment option for you. If you have any questions or concerns regarding your back pain please contact us for an appointment at (306)955-5050. Allow me to introduce myself. My name is Larissa and I have been working with Ben at Saskatoon Physiotherapy full time since 2015. I have lived in Saskatoon my entire life and have been running competitively since I was in high school. During high school I ran long distance track (1500m and 3000m) and Cross Country. I was able to train and compete in my age group and do quite well. Following high school I focused on road races. 10km up to Half Marathon (21.1km). Running and training have been a main staple of my exercise routine; during the winter I try to train indoors at the Saskatoon Field House or Shaw Centre tracks. Having the experience I do with running, as well as my degree in Kinesiology and certification as an Exercise Physiologist, has allowed me to get a good handle on tips that help keep me in running shape and injury free. I wanted to share a few tips that could help other runners needing some advice. Listen to Your Body– if your body is telling you that you feel pain, do not ignore that feeling. There is a reason the body is in pain and it is best to listen and rest when it is. Get medical attention when necessary. Now an important thing to note here is the difference between pain and soreness. Many may not know that soreness is the feeling after muscles have worked. Lactic acid accumulation can cause oxygen deprevation to the muscles and therefore cause a bit of soreness to the muscles. Also, if certain muscle groups have not worked in a long time and suddenly you do exercise that uses these muscles, you could get residual soreness that could last 2-3 days after activity. Pain is the feeling when there could be a muscle strain, sprain or injury. It could last weeks if not months, and if untreated, could cause a stop to activity. If you are unsure and it is paining you in times when you are just lying down taking a rest it is best to get it looked at by a doctor or physiotherapist. Create a Running Plan– Note that not every running plan is going to work for every body. Make sure to note times that a workout causes you pain and/or injury. A workout should challenge the body but not be too much to handle. A good way to monitor intensity is by using a heart rate monitor to determine how hard the heart is working. Remember that maximum heart rate can be found using the calculation [208 – (0.7 * Age)]. I recommend running at a heart rate of 65%-85% of this heart rate maximum. It will give the body a good cardiovascular workout as well as work the muscles at a good intensity. Anything above 85% of this heart rate is considered anaerobic activity (without oxygen) and anything below 65% of the heart rate maximum is not working the heart or muscles hard enough. If you are unsure as how to measure this on your own, you could purchase one of many different brands of heart rate monitors. To measure it without a device, simply use your index and middle finger to feel for the carotid artery in the neck (your pulse) and count the beats for a time of 10 seconds. Then simply multiply that number by 6 (for a total of 1 minute). This will get your beats/minute. It can really help to find the intensity your body is working at. Warm-up and Stretch– The tendons and muscles in the body are like elastic bands; therefore, if the body is cold going into intense exercise all likelihood is that something could pull or tear. It is much better for the body if it is properly warmed up going into activity. Give a good 5-10 minute warm-up to properly prepare the body for activity. Strength Train– The muscles of the body do need proper strength training; this allows for the body to be strong enough to handle new challenges and manage the terrain and elevation or new difficulties in running. Lower body as well as upper body muscles. Cross Train– Exercising different muscle groups other than the ones used in running is also very important. Overtraining is a real risk when training for a race; so using other muscle groups will help prevent injury or tightness going into race situation. Be Weather Conscious– If you are running outside; dress for the weather. Be sure to wear a hat, sunscreen and sunglasses if it is sunny and hot. For cold weather, make sure to dress in layers that can be easily removed if necessary. Wearing gloves at the beginning of a run can easily get too hot mid-way through the run. Correct Footwear– Being fit properly for running footwear is very important. This is because every foot lands differently during gait. Pronation (foot turning in) and supination (foot turning out) are different ways the feet can land while running. These should be measured before running footwear is purchased. Another way to ensure footwear is properly fitted is orthotics (if necessary). Stay Hydrated– Drinking water is so very important to allow the body to work correctly. Overheating is a very common symptom of not drinking enough water; especially in the heat of the day. Drinking water is also important in recovery, to help flush out the lactic acid build-up in the body. Running is a great way to stay in shape; I have found it a great stress-reliever as well as a way to socialize and spend time with other runners. Running is such an individual sport. I wish that more people would find a passion that I found in running. Of course, this advice should not be taken into practice until a health care physician has approved you for intense cardiovascular exercise. If you are unsure. contact your physician or see your friendly, neighbourhood physiotherapist. Call us today at (306)955-5050 to get a treatment with Ben. Incorporating stretching into your daily routine is just as important to overall health as regular exercise. Stretching is very important for improving flexibility, range of motion, and for injury prevention. It increases blood flow to the muscles resulting in an increase of nutrient supply, reduces muscle soreness, and improves flexibility. Muscles that are more commonly stiff and sore amongst my patients are trapezius (upper back/neck), pectoralis muscles (chest muscle), gluteus muscles (hip muscle), and hamstrings (back of the thigh). Posted below are some of the more common stretches that I prescribe to my patients. *Before starting any type of exercise program consult a healthcare professional. We recommend stretching every 2-3 hours, holding the stretch for 15-30 seconds. If you have any difficulties with the above stretches please give us a call at (306) 955-5050 to book an appointment.